The Scottish Government has launched a national loan scheme to administer farm subsidy support from early October. 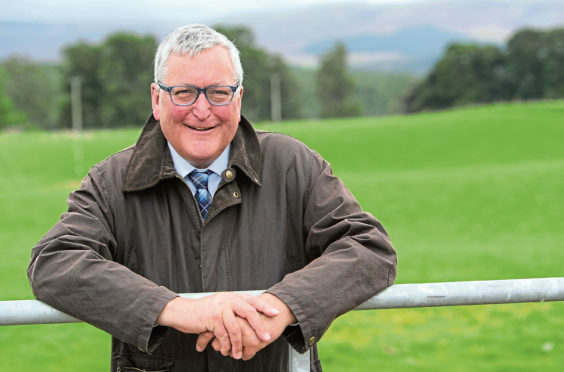 Announcing the news at Gryffewraes Farm at Bridge of Weir, Rural Economy Secretary Fergus Ewing said the National Basic Payment Support Scheme (NBPSS) would provide vital support to Scottish farmers following months of adverse weather. Under the scheme, loans will be offered to eligible farmers for up to 90% of what they are due as part of their 2018 Basic Payment Scheme payments. Farmers and crofters will have to opt-in for the loan and payments will begin in early October. “We will be issuing loan offers shortly, providing a much-needed cash injection for those feeling the effects of increased prices for feed and fodder, the impact of restraints on irrigating their land, and in some cases resorting to selling livestock earlier than planned to preserve fodder for breeding stocks,” said Mr Ewing. NFU Scotland president, Andrew McCornick, welcomed the news and urged producers to get behind the union’s #NFUSHowDoYouPlan campaign. It urges producers to plan ahead and secure supplies of feed and bedding ahead of the autumn and winter. He said: “Knowing that the basic scheme payment loan scheme will be paid in October is great news.